Uganda is roughly the size of Great Britain or the State of Oregon in the USA and its most alluring features are its forests, lakes and mountains. Most of the country is 1,000m above sea level and there are three mountainous areas - the Rwenzoris, Mount Elgon and the Virunga volcanoes. 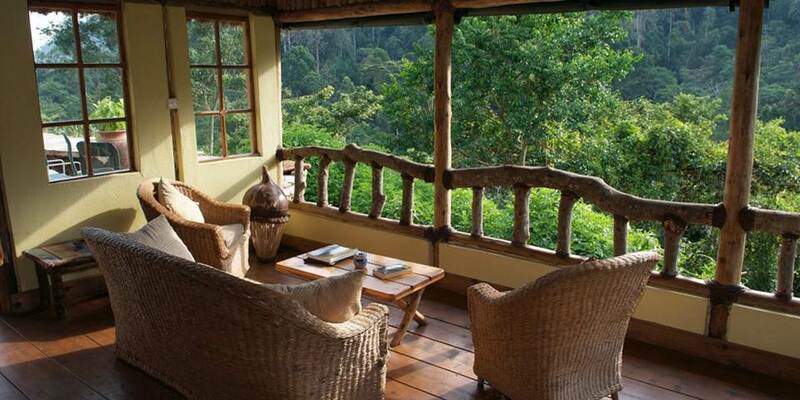 In Western Uganda lies the magnificent Queen Elizabeth National Park with the ice-covered peaks of the Rwenzori Mountains as a backdrop with its rich wildlife, including the tree lions at Ishasha, and is a haven for bird-watchers. Chimpanzees can be seen in the steeply forested sides of the Kyambura Gorge, near Queen Elizabeth National Park and the Kibale Forest. Further south, in the chain of eight blue Virunga volcanoes lives the Mountain Gorilla in the Bwindi Impenetrable National Park. 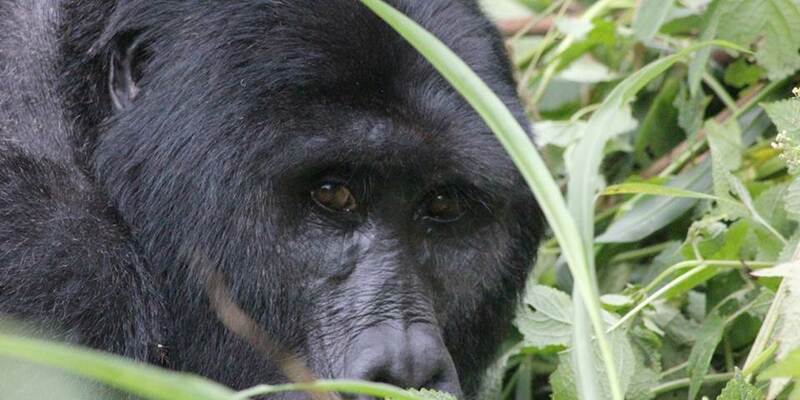 Bwindi is home to about half of all mountain gorillas. The park covers 200 square miles of extremely dense rainforest and is a proclaimed World Heritage site. 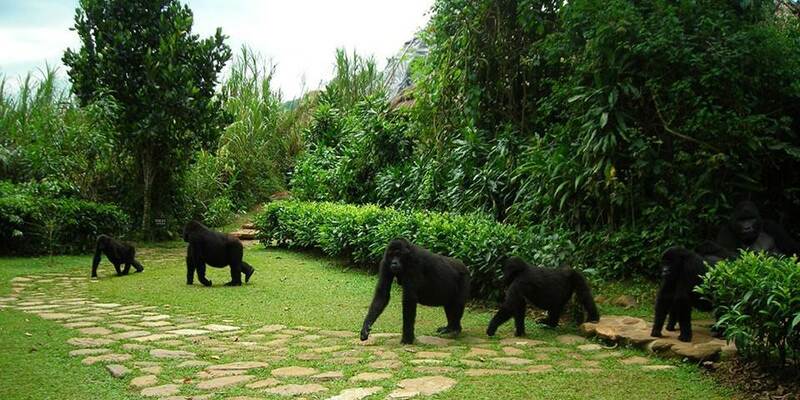 Part of the fun of tracking gorillas here is trying to follow them through the dense foliage. 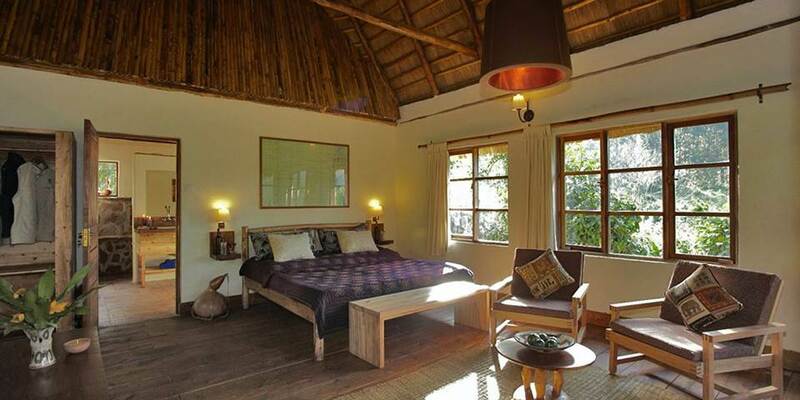 You can also get to see chimpanzees as well as some spectacular bird life.